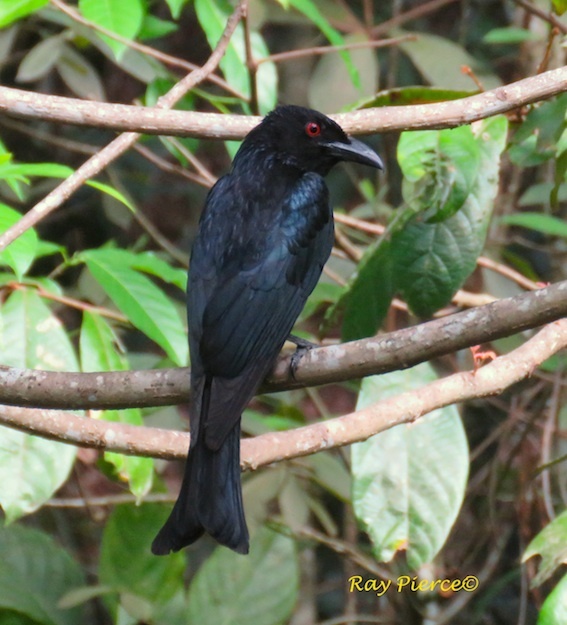 Similar to the Shining Starling with its glossy black coat and red eye, this bird has a distinctive fishtail. It is commonly seen because of its noisy call(often imitating other birds) as it darts around catching insects in flight or chasing other birds. Breeding mostly between October to January, its nest of vine tendrils is difficult to see hanging in a slender fork in dense foliage about 10 – 25 m above the ground.